If you are pursuing DSLR photography as a hobby and a creative pursuit and looking for the extra bit of training, Darter’s workshop is for you. With in-class and on-field training part of their classes, expect to put whatever you learnt about exposure, aperture, and shutter speed settings to real-life scenarios. These guys take you to Lal Bagh as part of their on-field training, so plenty to shoot and plenty of reviews once you are done with your on-field bit. The two-day weekend workshop is split into day one for theory and concepts of photography with practise sessions. The second day is for your on-field training post which you will have a few indoor sessions and image reviews and feedback. Price: INR 6,800. You can register here. 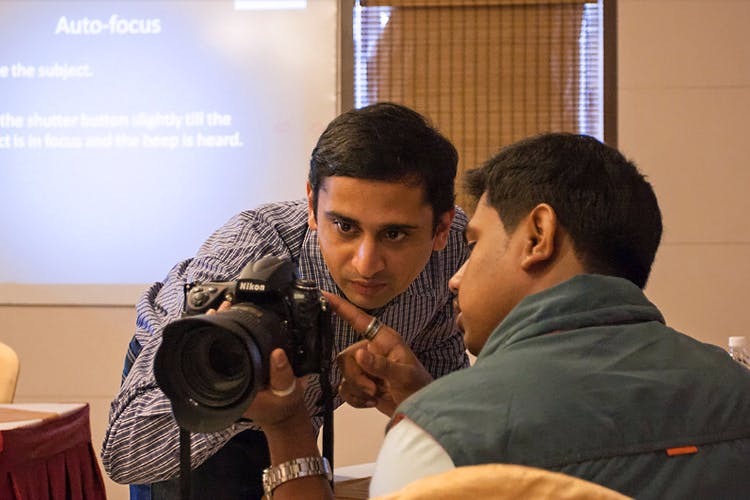 Nikon’s DSLR photography classes and photo walks are highly attended by everyone from amateurs to professionals. In fact, their slots get filled out as soon as they announce the dates for the classes. It’s that sought after since these classes will cover all the basic settings of your DSLR and give you a fair understanding of camera operations and handling techniques. These photography classes are interactive so that DSLR you invested so many years ago, can be finally put to maximum use. No more of taking it out only during family vacations. Price: INR 600 upwards. You can register here.